Over the past few years, many men have participated in what is known as “No Shave November.” Although many may think it is funny to grow the biggest, most obnoxious beard they can, come the end of the month, they have had a hard time shaving off their new best friend. When asked why they kept it, “It looks good” may be their first answer, but there are actually several benefits to having a beard that could not only have a positive effect on you physically, but also financially and emotionally. Here are a few advantages of growing a beard. Anyone who has been outside on a hot, sunny day without sunblock or any type of protection knows how damaging the sun can be to your skin. Even those who don’t burn may experience this damage in a number of ways. You can lather up with sunblock, but with your body hair protecting certain areas, it is almost unnecessary. 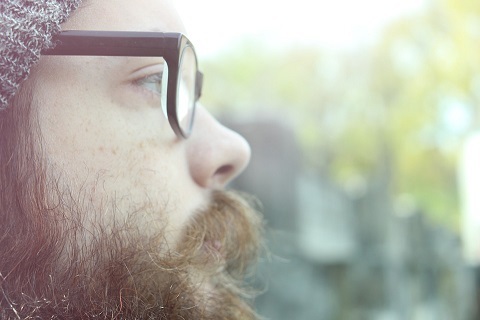 Beards offer your face protection from the damaging rays of the sun because it doesn’t allow them to penetrate to the skin and leave it feeling leathery and full of sun spots. As the weather chances and the temperature drops, people will start to pack on the layers to keep themselves warm. Of course, a jacket, hat and a pair of gloves are pretty much must haves for winter weather and will keep you warm, but a scarf is optional when you have a beard. Beards protect your skin from becoming chapped, while holding in the heat needed to keep your face warm during the harsh cold. Shaving can create open cuts on a person’s face, making it is easier for bacteria to get in and cause an infection. Since anyone with a beard does not shave, they will not create the opportunity for bacteria to do any damage. Not shaving can also decrease your chances of experiencing ingrown hairs, which can be quite painful should they become infected. Men like to feel manly and masculine. Should you find yourself comparing how you feel when your face is bare versus when you have a beard, consider how having the extra hair on your face makes you feel about yourself and your appearance. You may notice that when you have a beard you just feel a bit more confident, attractive and are ready to take on the world. When you make any major change in your life, you may be tempted to look back and examine how much time you spent doing the wrong thing. The same thing goes for anyone who has decided to grow a beard and stop shaving. Depending on the beard, it could take someone at least ten minutes to get their face smooth and free of hair, which is a lot of time wasted if you have been shaving for years. 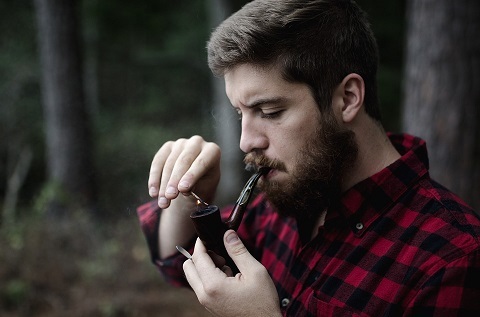 Growing a beard can save you time and money because you don’t have to include the daily task of shaving in your morning routine and you don’t have to concern yourself with purchasing shaving cream. Beards are really no different than the hair on top of your head. There are some looks that just don’t suit everyone. However, that doesn’t mean you shouldn’t have at least a little hair on your face. With there being so many benefits to growing a beard, it is something all men should consider at some point in their lives. Whether it be for health reasons or they just want to feel more attractive, to say that beards are silly or pointless is inaccurate.